In case you haven’t seen the news on my social media channels already, I am officially a Meemaw now. 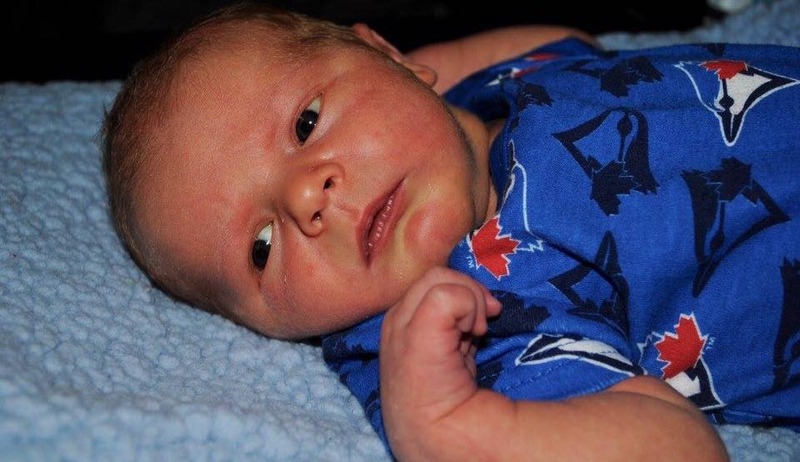 Baby Walter was born 2 weeks ago and has quickly taken over our hearts and lives. So far, my daughter and son-in-law have had a steady stream of visitors but soon, we will be all be venturing out, baby in tow. Walter’s other grandparents live about 45 minutes away, his godparents are just over an hour away, and with his baptism, a baby shower, and a wedding all coming up within the next month, I can foresee a lot of road trips in our future. We’re old hands when it comes to car travel but road tripping with a baby is a whole new ball game. One of my designated roles since Walter was born has been of family organizer. My son-in-law has to leave the house to work, my daughter is exhausted and breastfeeding, so I’m the one trying to look after some of the details for them. Right now, my focus is on getting everything ready for that first journey beyond the front door. I have two main priorities: ensuring that we travel safely and ensuring that we have everything we need for Walter’s comfort. 1. Make sure the car is up to date on all of its maintenance. This is step #1 because it’s by far the most important! 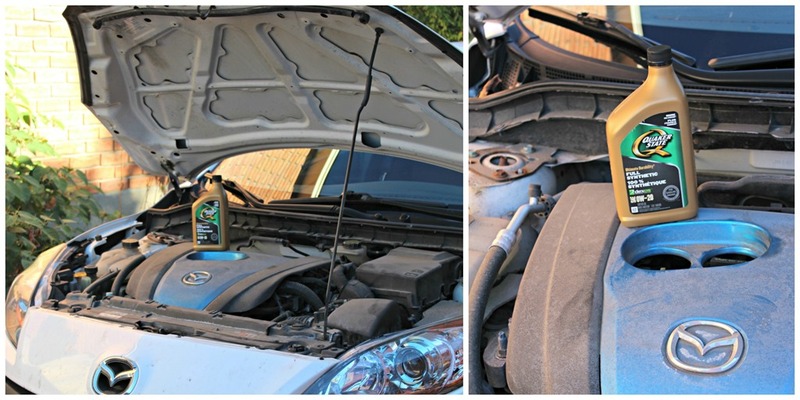 Winter is right around the corner and where we live, that means it’s nearly time to put the snow tires on and switch over to cold weather windshield washer fluid. Oh and many people don’t know this, but when you have your tires changed from winter to summer and vice versa, you should also have new wiper blades put on too. Don’t forget to check your tire pressure each time you head out on a trip – even just a short one! Install a new engine air filter and in-cabin air filter (usually about once a year but check your car’s specific requirements)– we want Walter breathing the freshest air possible! Check all the fluids and top up as needed. In the case of the engine oil, it’s time for a full oil change. I like to time this so it happens right as the seasons change if possible, especially right before winter. Canadian winters can be hard on a vehicle and having a fresh oil change done just before makes me feel like my car is in the best possible condition to handle anything. Of course, it’s also important to me that we use quality products we can trust on the car too. For me, that means buying Quaker State® Ultimate Durability™ Full Synthetic Motor Oil at Canadian Tire. I’ve been a long-time user of Quaker State oil. It was what my dad always used and when he taught me to do my own oil change as a teenager, it was what he recommended. Quaker State oil is designed for real world driving with a fuel-saving additive to help keep the oil fresh, anti-wear additives to help extend engine life, and better performance with superior lubrication flow and “pumpability” in below-freezing temperatures. Just what we need for all the driving we do in harsh Canadian weather! And at Canadian Tire, Quaker State oil is available at a great price too. Win-win. PRO TIP: Be sure to use the oil necessary for your car, as specified in their owner’s manual and to be sure to check your local Canadian Tire stores for availability! Need more assistance? 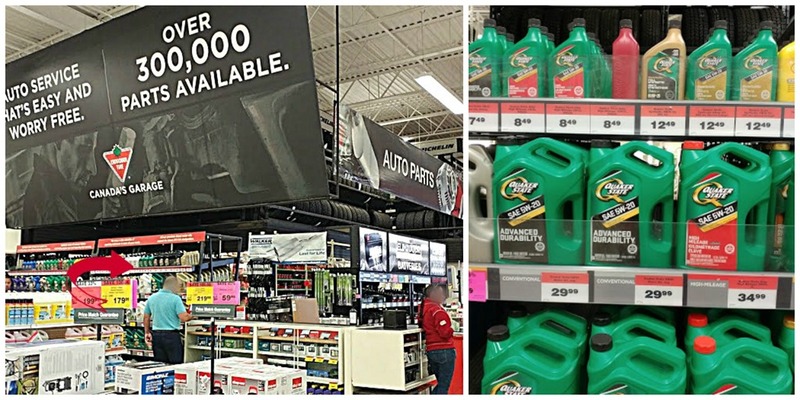 Just ask your friendly Canadian Tire employee and they will be able to help you find just the right oil you need. Now, of course while I was at Canadian Tire picking up Quaker State oil for the oil change, I also grabbed some other supplies we needed. A new broom and dustpan, some car organizers, a mirror so we can keep an eye on baby while on the road, a sun shade to keep the light out of his eyes in the car, cat litter, leaf bags (it’s nearly that time of year), drinking straws, storage jars, some Thanksgiving decorations for our family celebration, and even a couple of Christmas gifts and stocking stuffers! That’s what I love about Canadian Tire. I was able to get everything on my list in one stop. Canadian Tire truly is Made for Life in Canada. PRO TIP: Canadian Tire has screens around the store where you can look up items. It will not only tell you if the item is in stock but exactly where in the store to find it! 2. Make sure you have a properly installed car seat for the baby. Oh my. If you could have seen my son-in-law and I trying to get the car seat installed and set up for little Walter. You see, he was born 11 days before his due date and of course, the day before we were planning to get the car seat all set up. We read the manual and we watched Youtube videos but we still were only 95% confident that we had it right. Thankfully, the nurses in the OB unit gave it the once over and let us know that we had Walter in there properly so we were able to get him home safely. PRO TIP: Fortunately, there are also quite a few places in town where we could take the car and car seat and have them check it over to make sure we did it correctly. Here, we are able to go to any fire station and they will give it the once over and make sure we not only have it correctly installed in the car but that we also know just how to “install” Walter correctly into the seat. Check with your local health unit and they can likely direct you towards car seat clinics and other resources. We can do this every so often too as he grows and his car seat needs change. 3. Make sure you bring along a diaper bag (or keep one in the car at all times) stocked with any possible baby care needs. When my daughter was little, I always had a spare diaper bag that I kept in the trunk of the car. Obviously, I had to add any perishables or items sensitive to temperature changes at the last minute but at least I always knew that there was a basic supply there at all times. PRO TIP: Click below to get a printable checklist of items to put in your diaper bag and take with you on road trips (long and short). 4. 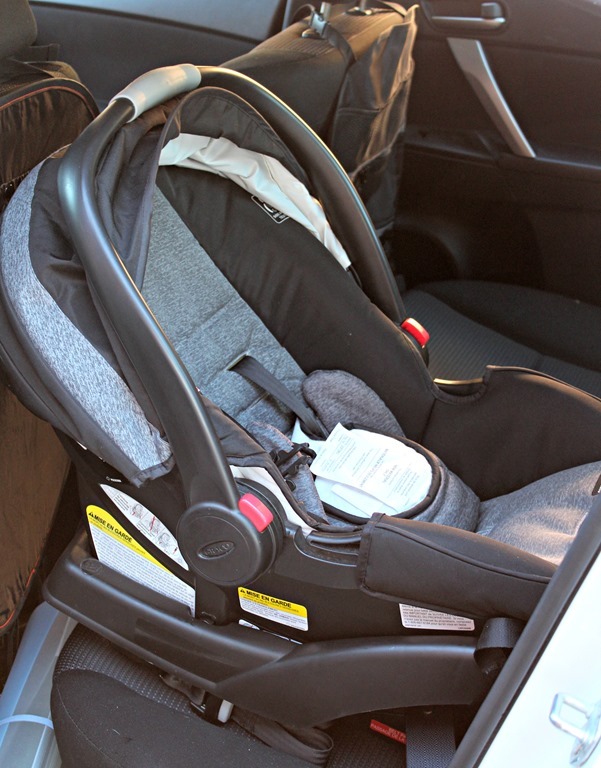 Make sure you have attended to all of baby’s immediate needs prior to getting in the car. 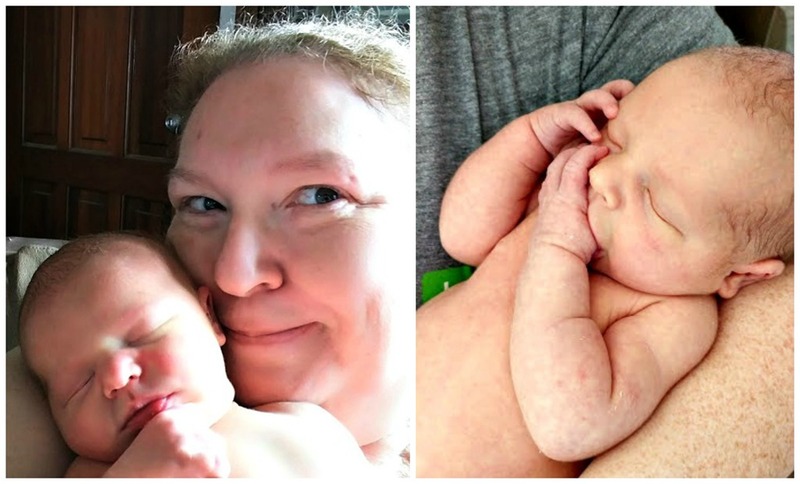 You want to start out with baby having had a fresh diaper change and being recently fed to minimize the number of stops you have to make along the way (especially if the available stops are less than desirable). When it comes to Walter, we also need to make sure that his post-meal hiccups are gone because we want him in the best mood possible before putting him in the car seat! 5. Make sure you are prepared for any potential on-the-road needs. You’ve got the diaper bag along but it can be really helpful to keep a few things right at hand. Digging for and into the diaper bag while traveling isn’t always the most convenient thing to do. We put two pocket organizers in the backseat – these are handy spots for stashing some high need items. You might also consider the glove compartment, center console, or car door storage “pockets” on your car if you have them. The items we keep handy: some baby wipes or damp wash cloths in storage bags to wipe up messes quickly, an extra pacifier, snacks/bottles for older babies, a couple of toys and/or books. For the adults, we like to have some bottled water, snacks, tablets and headphones, inflatable neck pillows, and sweaters, shawls, or blankets available. Oh and some wipes for us too. We’re kind of messy. 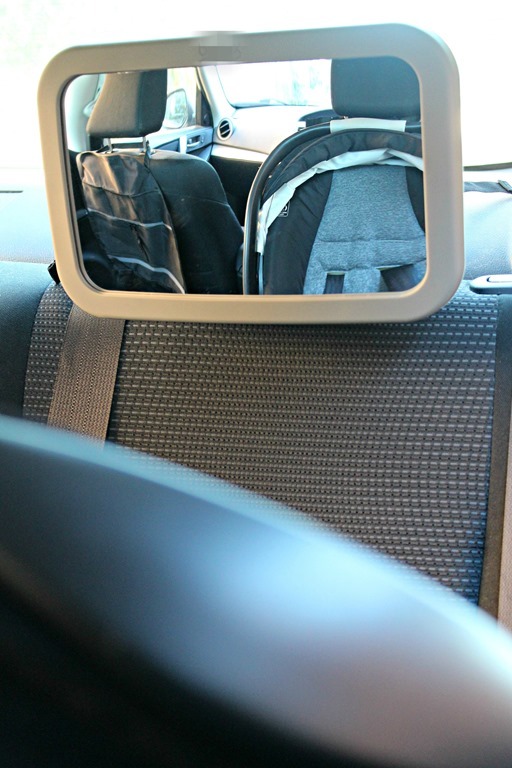 PRO TIP: Attaching a mirror (the shatterproof kind that is certified safe for use in the car with baby) so that you can see baby from the front seat (and for baby’s own amusement when they can see themselves!) is another great idea. This list may sound like a lot but really, you’re going to be so much happier knowing that you and your baby are safe and ready for anything. 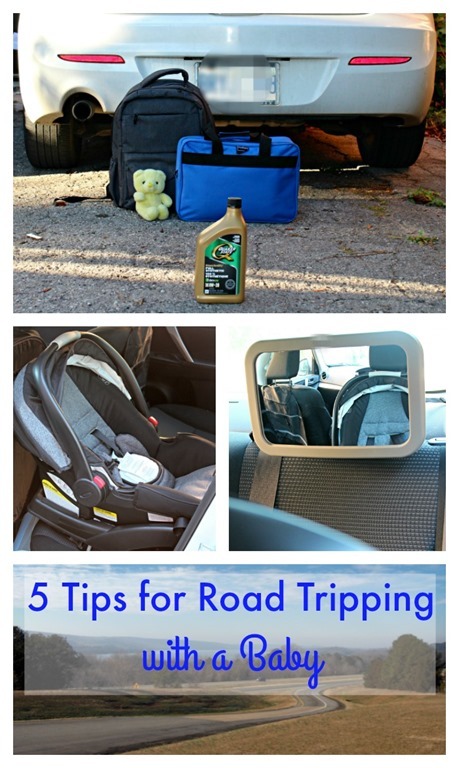 What would you add to this list to get prepared for road tripping with a baby? Add your ideas in the comments below! Congrats on being a grandmother! Road tripping with a baby requires a lot of thought and I love all of your tips. 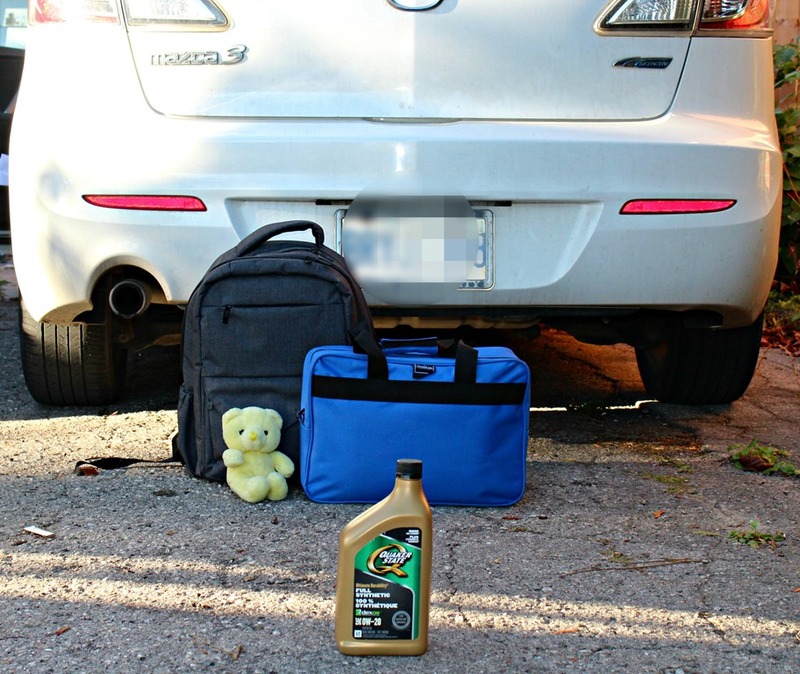 Keeping a well-stocked diaper bag is essential for road trips. Great tips! We always keep an extra blanket in the car that can be used as a blanket, folded as a pillow, draped as a darkening shade. Oh and congratulations on becoming a grandma. These are some awesome sounding tips, not only for travelling with a baby but travelling at all, especially when it comes to maintenance, that is such a big thing that people too often forget. Making sure the car is in tip top shape is so important. I love that the store tells you what’s in stock! After not having to travel with little ones for several years it is great reminder of some tips for us grandmothers to use. Hubby always takes good care of the cars. The first thing we do before a road trip is get the car looked at. I do not want to break down somewhere hundreds of miles from anywhere. I love Road tripping you have some great tips here. These are great tips. I can remember driving up north when our daughter was a baby, five hours each way. it was a challenge sometimes for sure. This is actually really great information for me to have. I’m due for my first baby in just 2 months (eek, it’s coming up!) and will need to know this. Thank you! are a lot of great tips here! These are great tips for traveling with baby. We always get our oil changed on time. It’s an easy but important maintenance. Now that is a complete list! Wow. Perfect planning. I also like your tip of having the car checked before embarking on a road trip. After all, safety is first. Congratulations and welcome to grandmotherhood! We have taken a lot of road trips with my granddaughter. These are all good tips for getting on the road with baby. Thanks for these amaizing tips! It looks hard to road tripping with a baby! But you look like you know great what you are doing! Road trips are super stressful with babies and younger kids! Definitely helps to be as prepared as possible, and not have to worry about things like the car breaking down. You are now a grandma! That is such exciting news. Great tips for travelling with a baby. It can be scary to plan and organize for that first trip. Road tripping along you have to prepare and pack, now with a baby I think I would over pack just to make sure I don’t forget anything! It has been a while since our last road-trip with the kids. Road trip usually is stressful and tricky when traveling with baby and kids, but it will make great family bonding. Great tips! The key when traveling with kids is that you must prepare!